Brass weight bearing the "dagger" mark of the London Goldsmiths' Guild. 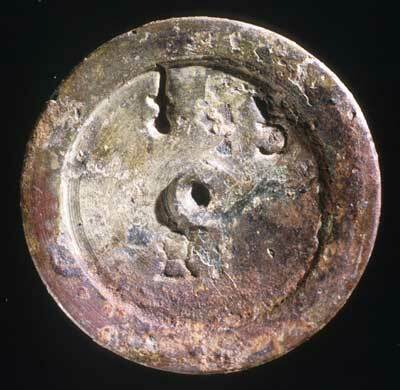 This may indicate that a worker of fine metals was at Ferryland. 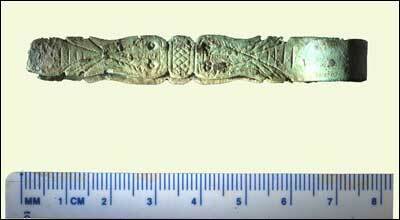 Sugar tongs, elaborately decorated, used to chip sugar from a "loaf" and place it in a cup or glass. Gold-plated brass spur, found near the bottom of the defensive ditch. Part of a gentleman's costume, it is an indication of the extensive use of horses at Avalon. 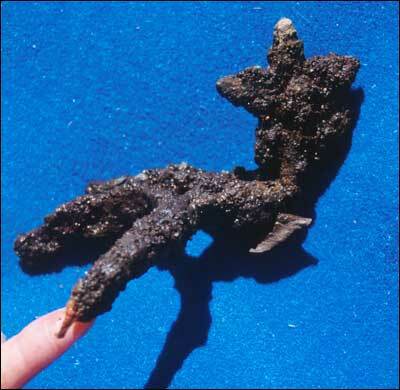 Silver-plated iron spur, found in the midden of the gentry residence at the east end of the settlement. 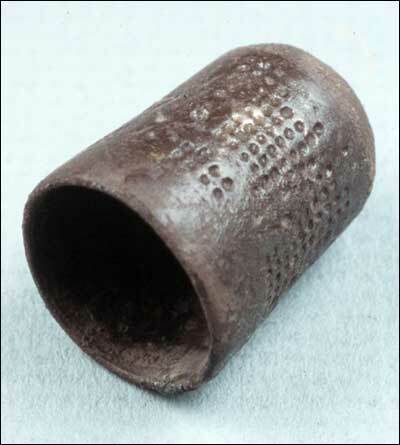 Silver thimble from the midden associated with the gentry residence at the east end of the settlement. 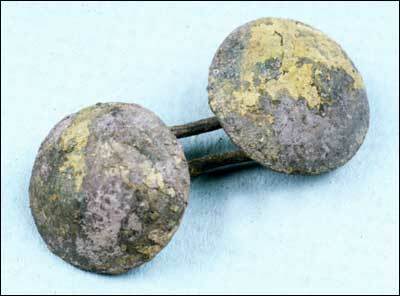 Gold-plated cufflinks from the upper layers of the defensive ditch; late 17th century.